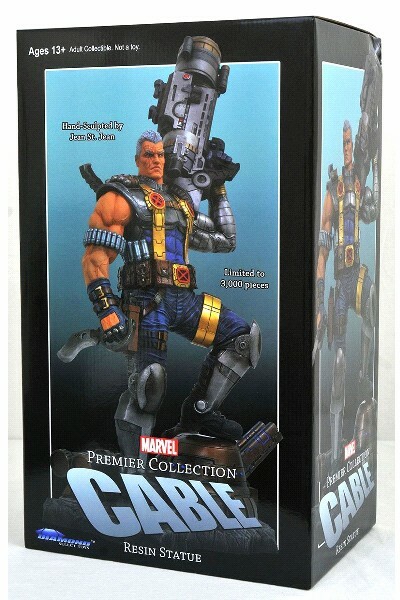 Diamond Select Toys Marvel Premier Collection Cable Statue. 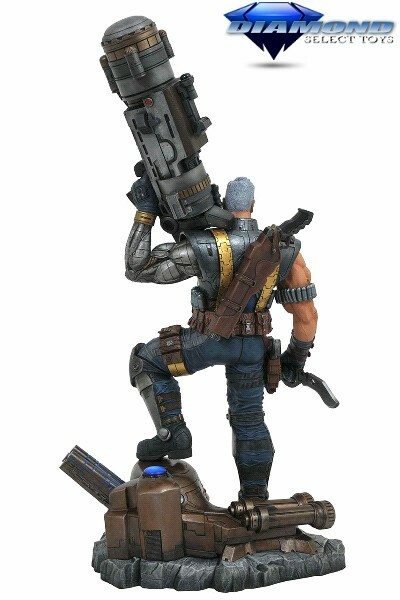 A Diamond Select Toys Release. Sculpted by Jean St. Jean. The time-traveling mutant son of Cyclops is in our time, ready for his big-screen debut! 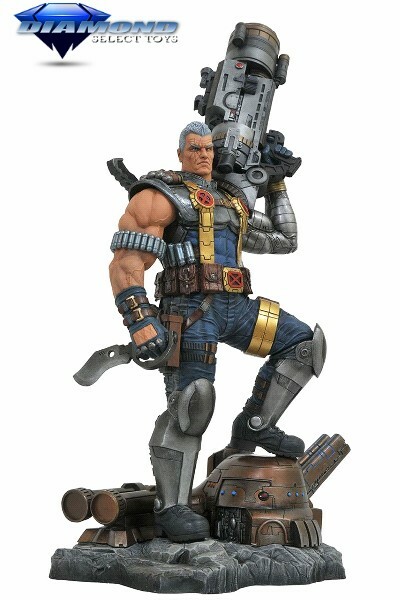 Based on his Marvel Comics appearance, this 12-inch scale statue features a massive weapon and can be displayed on its own or in conjunction with the previously offered Deadpool statue to form a larger diorama. 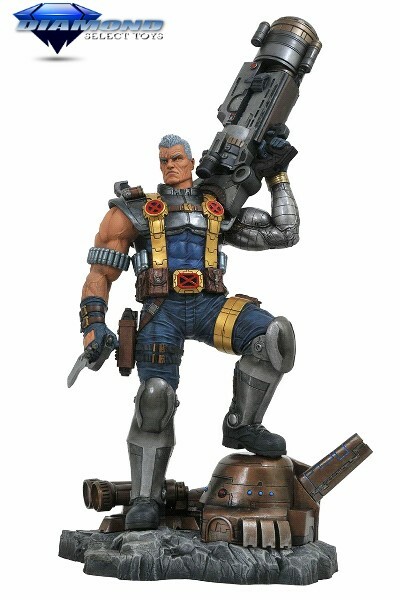 Cable Stands Approximately 16 Inches Tall and is Made of Resin.